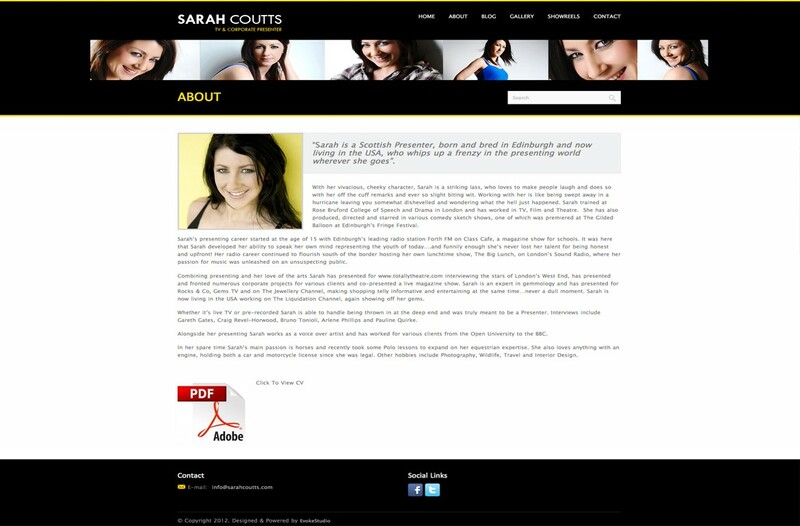 Sarah Coutts is a reputable TV presenter based in London, who is most commonly known for her presenting on the Jewellery channel, Gems TV, BBC, Rocks & Co to name but a few. She approached Evoke studio to design a simple portfolio website that she could update and manage herself. The implemented design has given Sarah a strong online platform to market herself to prospective clients, with useful features such as a Showreel page, Gallery, Blog and CV upload.